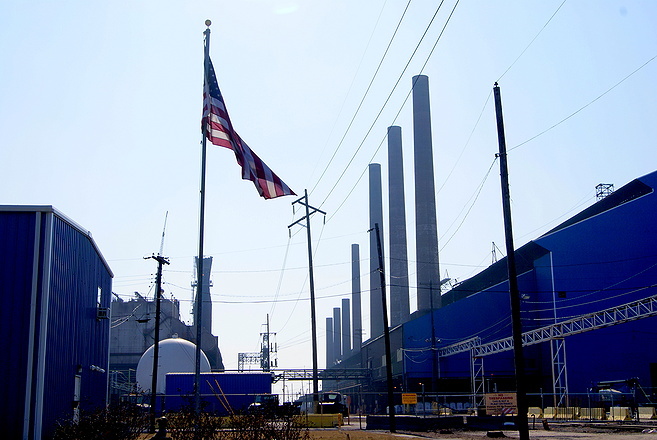 Paraphrasing Mark Twain, the reports of the demise of US Steel's Granite City plant have been greatly exaggerated. Maintenance projects and a massive casting line installation are keeping area contractors scrambling. While the steel company is historically closed-lipped about its projects, some information is available. The biggest recent US Steel news in the mainstream media has been the layoff of workers at the plant. Transcripts of the company's stock earnings conference calls report that those layoffs were done as blast furnaces were idled. At the same time, demand for rolled steel, the plant's mainstay, increased and area construction firms were kept busy on various maintenance projects. Murphy Co. and Guarantee Electrical are cuttently working in tournaround mode, including 12-hour shifts, to install the caster line, a project which two sources said is reportedly in rance of $200m. 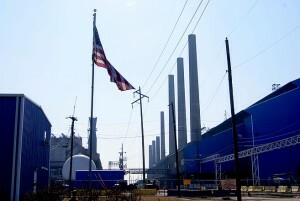 The project includes the demolition of the former casting line and the installation of a line that was acquired from the defunct Sparrows Point (MD) steel mill. Sparrows Point was once the world's largest steel mill. Sparrows Point was founded by Bethllehem Steel in the late 1890s and was run by several successor firms before its last owner declared bankruptcy in 2012. Mario Longhi, president and CEO of USS said in the company's Q4 2013 earnings report conference call that the company had acquired the Sparrows Point number one caster at the end of 2012 and that engineering drawings had confirmed that the caster would fit the footprint of the casting facility at Granite City. IIn the Q4 2014 confrence call in January, Longhi said, "We will have blast furnace outages starting soon at several of our operations related to normal maintenance, facility upgrades, and customer order rates. The most significant outage will occur at out Granite City Works. As we have disclosed previously, we acquired a caster from the former Sparrow's Point facility. Replacing one fo the existing casters at Granite City with this caster will increase the range of producsts which we can produce at Granite City, giving us the ability to serve a broader range of customers from this location. The demolition of the old caster and installation of the new caster will take several months and during this period we will be limited to operating only one of the two blast furnaces at Granite City."